Our first task, “Reset Activation Timer” takes advantage of all 5 of each of the 10 day grace periods. 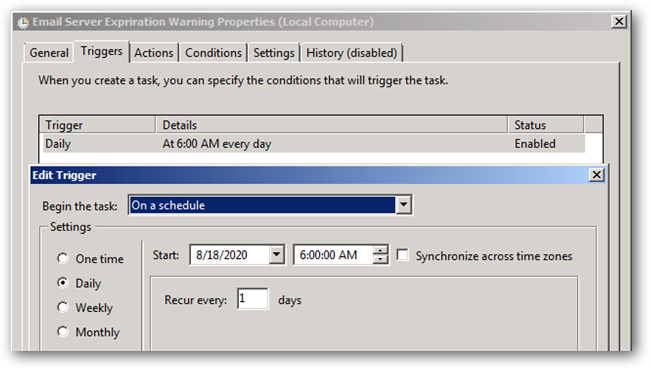 Each instance of this task is a one time, date specific call. The first call should be set to 10 days from the first system boot with each subsequent call set 10 days after the previous one. Note: We have included tools to calculate this information for you which we discuss later in the article. The actual command is a call to the “slmgr.vbs” script with the -rearm parameter followed by a system reboot. Note: The screenshot below shows 8, but in practice the countdown would reach 0. Once we have used up all the reset/rearm commands, we have to actually activate the server. This is done in the “Activate Server” task. This task should be set 10 days from the last call to the “Reset Activation Timer” task. The actual command again calls the “slmgr.vbs” script but with the -ato parameter (which performs the activation) followed by a reboot. The end result is the 180 day time limited server activation. While you can create the appropriate scheduled tasks manually, for your convenience we have included the tasks in importable XML format (see the links section at the bottom). 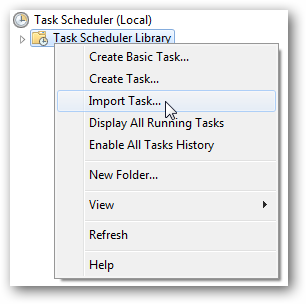 To import these, simply open Task Scheduler, right click on the Task Scheduler Library item and select Import Task. Browse to the extracted Tasks folder and select one. 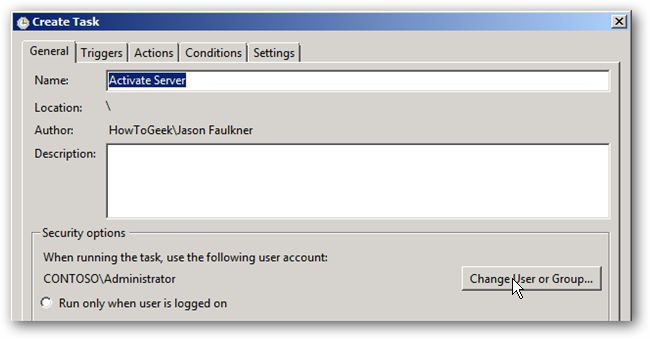 Once selected for import, you will need to change the account the task runs as to be consistent with your server. 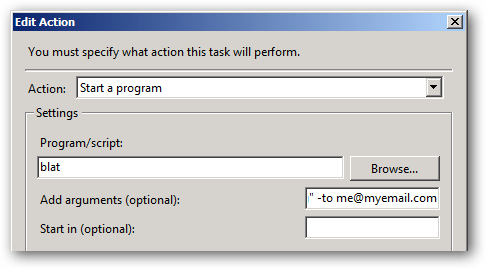 In the Create Task dialog (which opens after picking a task to import), click the Change User or Group button. 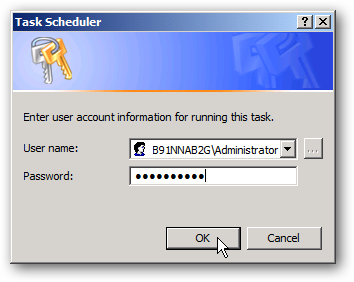 Enter “administrator” and click Check Names followed by OK.
You should see the Administrator account respective to your machine as the effective account. 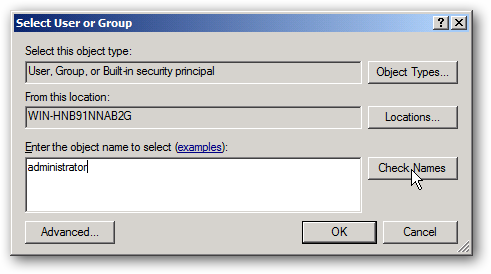 When you apply the settings of the task, you will be prompted for the Administrator password. Repeat these steps for each of the XML task files. The most notable change you will need to make is to update the respective dates of the scheduled tasks. To make this easy, we have included a tool as part of our download package which will calculate the exact dates for each task. Simply run ActivationDates_RunMe.bat from the extracted zip file and you will see output like the sample below. Update the dates of the respective scheduled task accordingly to maximize the usage time. After 240 days, the server activation will expire. While you can view the time remaining by logging into the server, after 8 months it can be easy to forget to do this. So to automate the process of reminding you of the impending expiration, we have included a scheduled task which will automatically warn you via a daily email as the expiration approaches. In order for this to work, however, you must have Blat (a command line email tool) configured on your system. Once Blat is configured, under the Actions tab the task, edit the action. Under the Add arguments line, scroll to the end and update the value following the -to parameter to the email address the warnings should be sent to. Additionally, if you want to edit the message body and/or subject of the resulting email, you can do that here as well. Once you apply your settings, you can test the email task by viewing the main Scheduled Task Library, right-clicking on the email warning task and selecting Run. If everything is working, you should receive an email at the address you specified earlier. Again, by default, this action will run daily starting 10 days before the server expires.